The intelligent Load output function prevents damage caused by running batteries 'flat'. 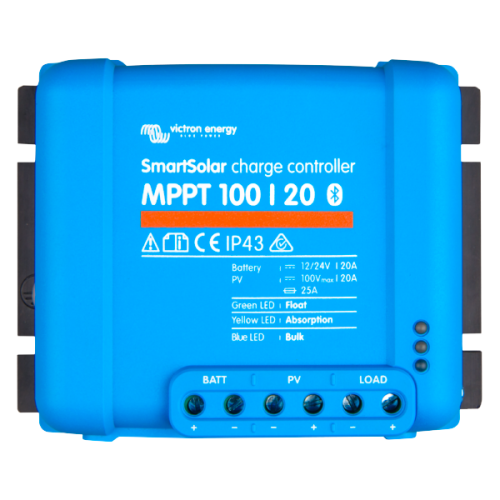 You can configure the voltage at which SmartSolar disconnects a load - thereby preventing excessive drain on your batteries. And here's the clever bit: SmartSolar will attempt a 100% recharge every day. If it can't - during periods of poor weather - it raises the disconnect voltage, daily, until it achieves success. We call this feature BatteryLife because it maintains the health, and extends the life of your battery.